The application has options for duplicates scan, duplicates auto-selection, duplicates removal. Scan hidden folders option allows you to scan hidden folders for duplicates. Enabling the option might increase scanning time. Minimal file size option causes to skip smallest files when scanned. 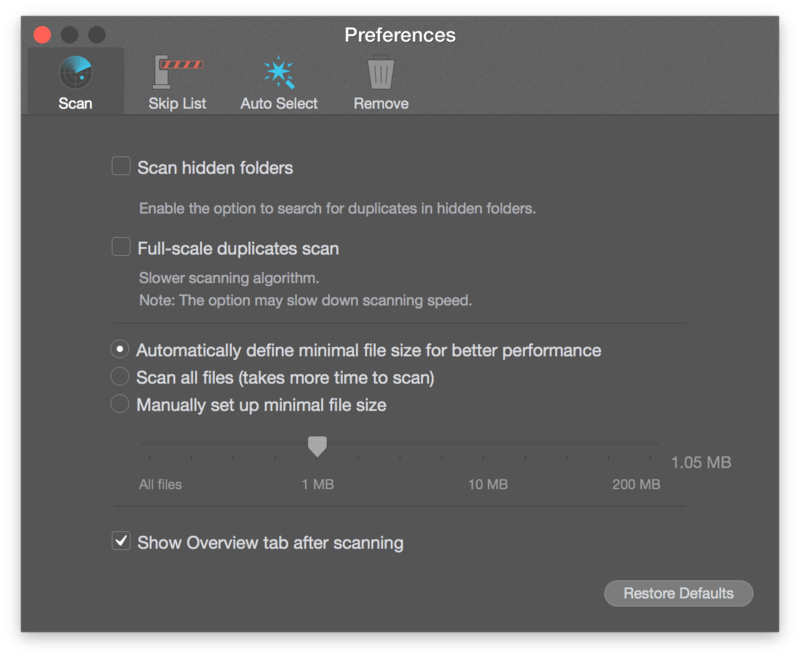 Decreasing file size threshold you get longer scanner time. Add folders and files, enter file extensions to be skipped during duplicates search when scanned. 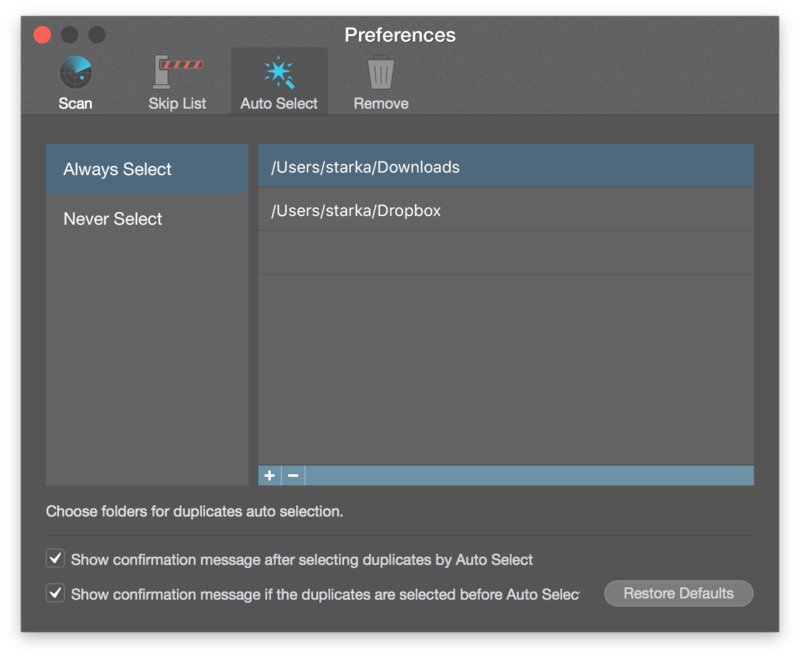 Add folders to the Always Select list for automatic folders’ duplicates selection by Auto Select button. Add folders to the Never Select list to exclude those folders content from selection when Auto Select button used. Allow removing all duplicate copies. 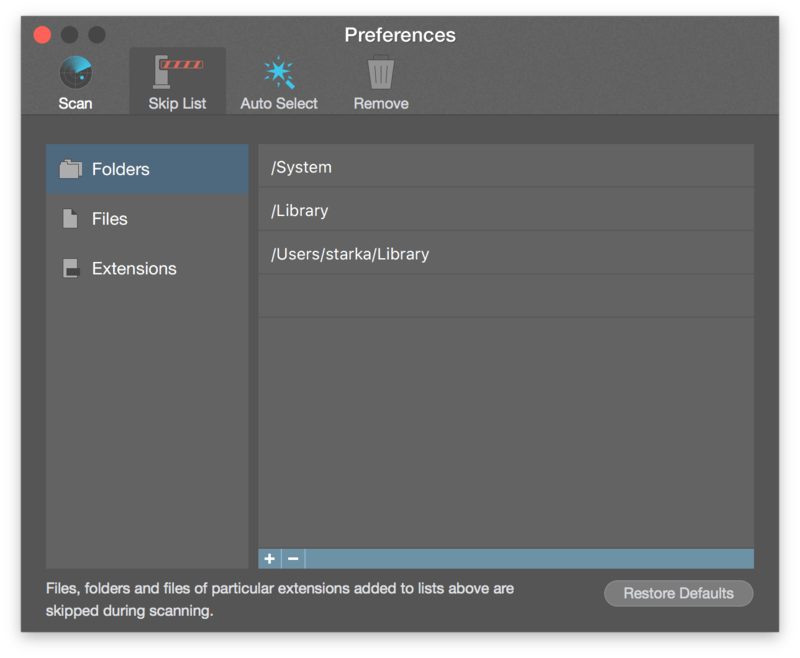 Enable the option to be able to remove all file entries. When disabled you can’t remove all file entries, at least one should left. Remove duplicates permanently. 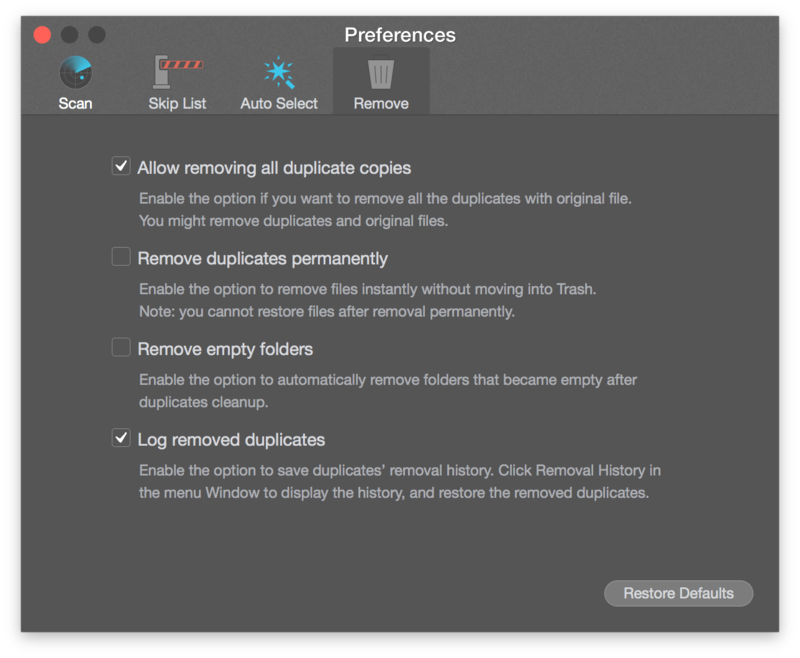 Enable the option to remove duplicates permanently. When disabled duplicates are moved to Trash. Remove empty folders also enables removing of cleaned folders automatically if folders became empty.